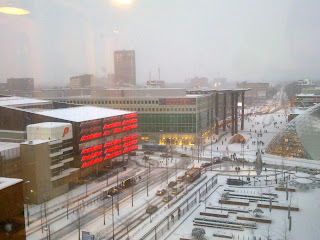 Last weekend, as much as 5 cm snow fell in Eindhoven. With temperatures below - 17 degrees the horror winter seems to come at last. 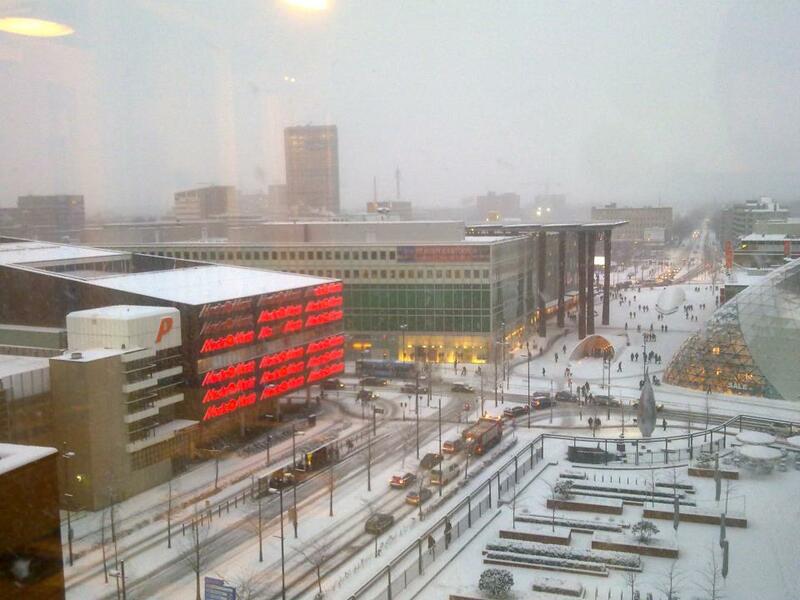 Trains were delayed for hours, there was more than 800 kilometres of traffic jam, but luckily everbody could warm their souls up in the heart of Eindhoven. Let the snowfever begin! Almost every outdoor sport has been cancelled this weekend, so it is a good time for ice skating! Eindhovens Dagblad gives a list of ice skate locations in the region on http://www.ed.nl/specials/natuur/10385554/De-%28kunst%29ijsbanenkaart-van-de-regio.ece. But always be careful while skating at these locations!